From Venice to Pico Boulevards, Centinela to Motor Avenues, more road diets are coming to the Westside. A lawsuit filed June 21, 2018 aims to stop this plan and reverse the previous road diet on Venice Boulevard in Mar Vista. 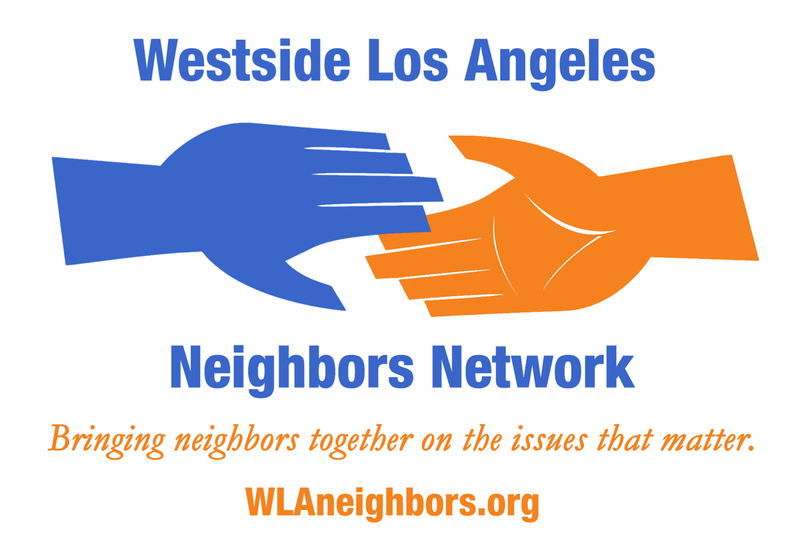 WESTSIDE LOS ANGELES – June 27, 2018 – Members of the newly formed nonprofit Westside Los Angeles Neighbors Network have sued the City of Los Angeles for adopting the misleading “Livable Boulevards” Streetscape Plan, challenging the City’s position that they are exempt from studying the plan’s environmental impacts. The group filed a California Environmental Quality Act (CEQA) appeal lawsuit on Thursday, June 21, 2018, Selena Inouye of Mar Vista announced today. 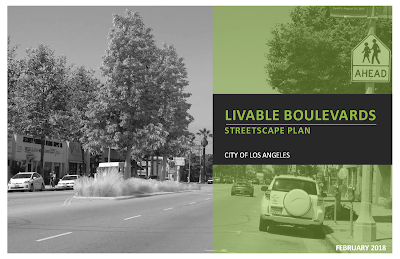 The Los Angeles City Council expedited adoption of the “Livable Boulevards” Streetscape Plan during special meetings of the Transportation Committee on June 14, 2018 and City Council on June 19, 2018. This streetscapes plan was attached to an update of the Coastal Transit Corridor and West Los Angeles Transportation Improvement and Mitigation Specific Plan. A California Environmental Quality Act (CEQA) exemption was filed by the Los Angeles City Planning Department in conjunction with this streetscapes plan on May 22, 2018. Members of the grassroots community group Restore Venice Boulevard discovered this streetscapes plan in April 2018 on the Westside Mobility Plan’s website. The plan, developed by the LA City Planning Department and contractor Fehr & Peers, extends the failed Great Streets- Venice Boulevard road diet all the way to Lincoln Boulevard in East Venice, and brings this same failed road diet concept to Pico Boulevard, Centinela Avenue and Motor Ave.
“During the past year, traffic on Venice Boulevard has been gridlocked, creating delays for emergency vehicles. Sixty-five accidents have occurred (and counting) and the decreased street capacity sends up to 21,000 cars a day into our neighborhoods. Small businesses report revenues down, up to 30%, and 12 small businesses have closed since this road diet began on May 20, 2017,” says Ms. Inouye, a grassroots organizer with Restore Venice Boulevard and the new Board President of the Westside LA Neighbors Network. “The pilot project, promised as a one-year experiment, should have ended May 20, 2018. 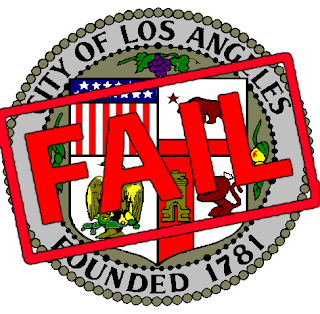 But Mayor Garcetti, Councilman Bonin, and the Los Angeles Department of Transportation have chosen to ignore the data showing the project’s failure and instead plan to expand it to additional streets across the Westside,” Ms. Inouye goes on to explain. Both Bonin and the Los Angeles Department of Transportation have refused requests from the Mar Vista Community Council and Venice Neighborhood Council to hold Town Hall meetings with the public to discuss the serious concerns raised by this pilot project. In their lawsuit, the Westside LA Neighbors Network alleges that the City will use this California Environmental Quality Act (CEQA) exemption to deny neighbors across the Westside their say. An exemption from an environmental impact report means there will be no public notice or public hearings. Once again, this sets the stage for the City to install road diets without transparency, accountability or a requirement for engaging the public in this process. “Neighbors want to be involved in the planning of City transportation projects. And they have a right to know the details of what is being planned, as well as a right to obtain project data. I submitted a California Public Records Act request back on August 8, 2017 for the Great Streets – Venice Boulevard pilot project data and I am still waiting for a response from the Los Angeles Department of Transportation,” reports Ms. Inouye. “These streetscapes projects affect everyone. 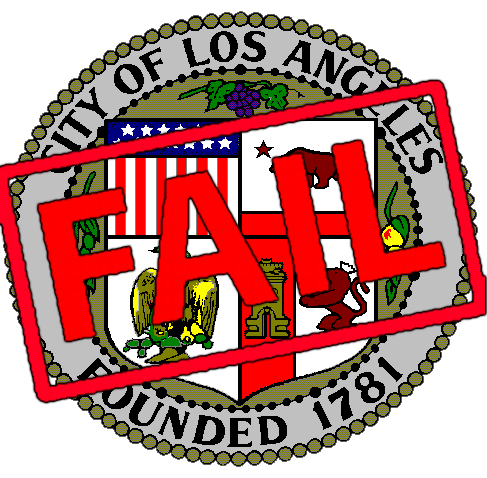 Let’s not waste more taxpayer money bringing inappropriate road diets to the communities of Del Rey, Playa Vista, Palms, Cheviot Hills, Rancho Park, Venice, WLA Sawtelle and the Westside,” concludes Ms. Inouye. Mar Vistans are concerned about the Livable Boulevards Streetscape Plan. We've already experienced Great Streets and Vision Zero. This is how the City will continue to bring inappropriate road diets and improperly installed protected bike lanes to the communities of Palms, Del Rey, Playa Vista, West LA Sawtelle, the Westside, Venice and Mar Vista. Great Streets was presented as a streetscapes plan too, but what we got was a road diet. Livable Boulevards is an attachment to the West LA Transportation Improvement and Mitigation Specific Plan (TIMP)and Coastal Transportation Corridor Specific Plan Update which were approved by the LA City Council on June 19, 2018. Outreach in 2016 focused mainly on Transportation Impact Assessment (TIA) fee changes. It contains numerous iterations for the streets mentioned below. We don’t believe these plans have been presented to the communities they impact, nor is it clear which City Department(s) are making the decisions. The Mar Vista Community Council (MVCC) filed a Community Impact Statement (CIS) to Council File 08-0229 regard this plan, asking for more public hearings and community engagement prior to implementation, which was ignored. The LA City Planning Department filed a CEQA Exemption for this plan on May 22, 2018. We filed a CEQA appeal on June 21, 2018 to exercise our administrative remedies in regard this new streetscapes plan. 1) “MULTI-MODAL MOBILITY & ACCESSIBILITY” “Expand the function of the street to be more inclusive of active travel modes by promoting bicycle and pedestrianoriented streetscape amenities. Improve connections to nearby transit and local businesses by promoting streetscape amenities, pedestrian infrastructure, and bicycle facilities. Mobility Plan 2035, Vision Zero (p. 1-1), “roadway restriping or street reconfiguration” (p. 3-5), “parklets” and “pedestrian plazas” (p. B-2), “protected bicycle lanes” (p. B-3) and dedicated bus lanes (p. 5-17). 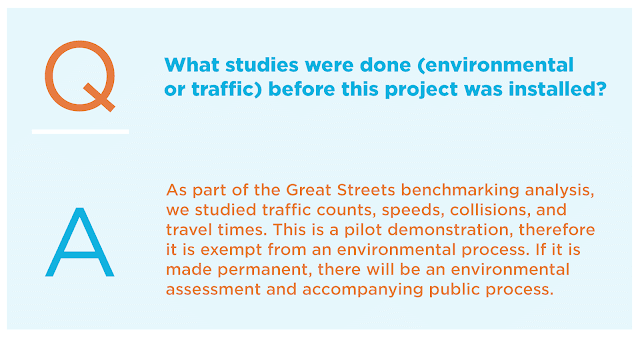 • What they didn’t say: 1) who is making these decisions, and 2) why public outreach in 2016 didn't specifically address and solicit feedback on the proposed streets changes in the Livable Boulevards Streetscape plan. 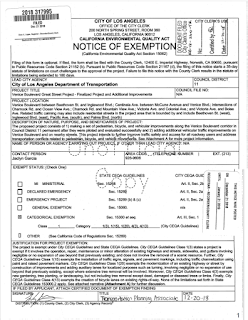 • There is no planned implementation date, so why are they filing for a CEQA exemption right now? 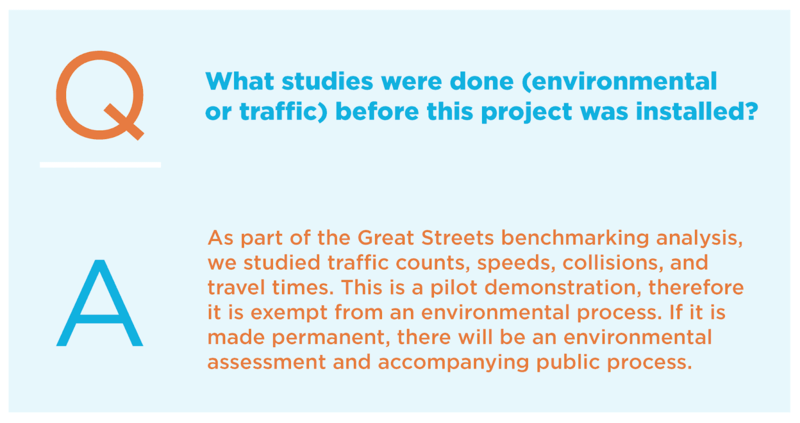 • This plan also implies that the Great Streets “pilot project” on Venice Blvd is in fact a permanent installation.